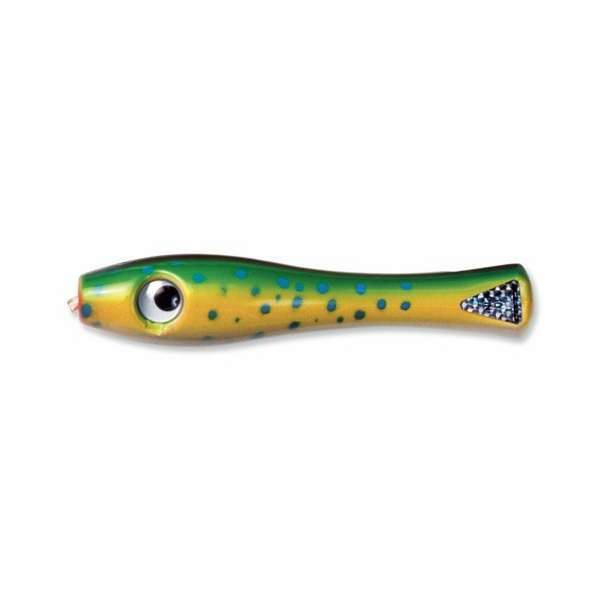 Dennis’ favorite surface trolling lure, Ten Pin’s Irresistible, injured baitfish action and frantic, holographic eyes are unmatched for all gamefish. Counter-balanced with an internal weight to ‘keel’ the bait in an upright position, the smaller models run to 10 knots and the larger one to a remarkable 18 knots. 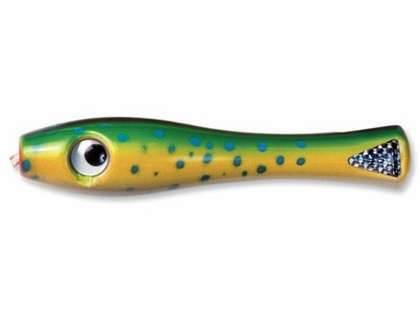 The Pretlane, high impact bodies have a center slot running the length of the lure for its pre-rigged single hook, while their unique slotted backs allow a second hook too.